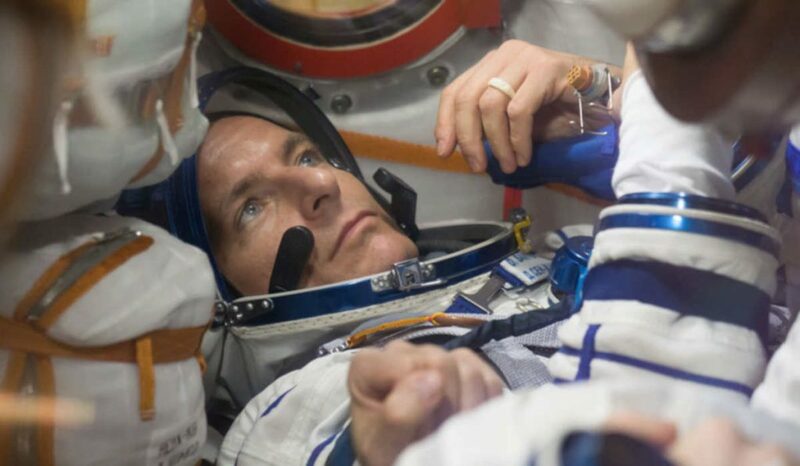 At 2:37 pm EST, some 250 miles above the coast of Yemen, Canadian Space Agency astronaut David Saint-Jacques was welcomed on board the International Space Station by the crew from Expedition 57 that has been orbiting Earth since June 2018. David Saint-Jacques shortly after leaving the Soyuz (hatch in the background) is welcomed on board the ISS by the crew from Expedition 57. (Photo: NASA live stream). As part of Expedition 58, Saint-Jacques, with crewmates NASA astronaut Anne McClain and Roscosmos cosmonaut Oleg Kononenko, left Earth this morning at 6:31 am EST on board a Soyuz spacecraft, lifting off from the Baikonur Cosmodrome in Kazakhstan. Saint-Jacques, who shared his playlist for the rocket ride (listed below), is the ninth Canadian to fly to space over the course of 17 joint-agency missions. Expedition 58 reached the International Space Station (ISS) at 12:33 pm EST, just six hours and two minutes after launching from Kazakhstan. 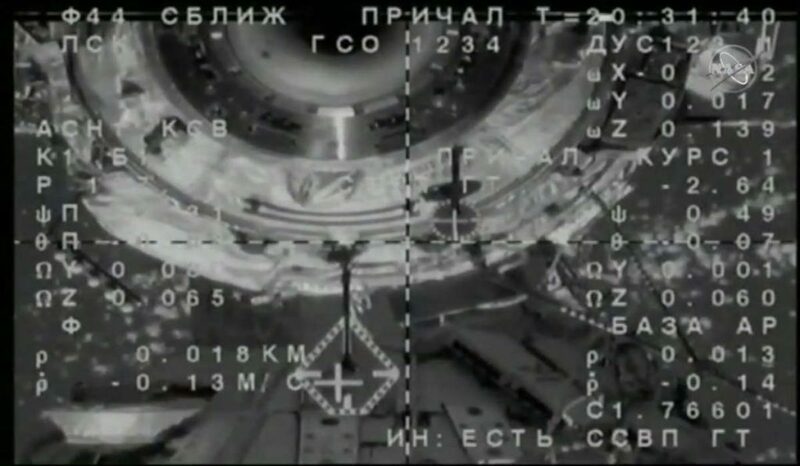 Before entering the ISS, the Soyuz crew spent two hours to ensure the airlocks between the Soyuz and ISS were successfully engaged and to also equalize pressure between the two spacecraft. Saint-Jacques is scheduled spend more than six months aboard the orbiting laboratory, supporting world-class science and time-critical operations. With his return to earth scheduled for June 2019, this will be Canada’s longest mission to date. In a matter of weeks, Saint-Jacques, McClain and Kononenko will be the only astronauts on board the ISS. The next crew is scheduled to arrive on March 1, 2019. While in space, the Canadian Space Agency (CSA) explains Saint-Jacques will operate Canadarm2 and perform maintenance duties. He will conduct science experiments and technology demonstrations, including what the CSA describes as ground-breaking Canadian health science experiments that will make space travel safer for humans. He could also perform a spacewalk. “Today, more than ever, I am mindful that space is more than astronauts and more than one mission,” said Saint-Jacques before his departure. “I am grateful for the thousands of men and women who work behind the scenes, in Canada and all over the world, putting all their talent to work to make space flight possible. An engineer, astrophysicist and medical doctor, CSA explains Saint-Jacques brings a broad set of skills to the ISS. He is fully trained as Soyuz co-pilot, robotic operator and spacewalker. Expedition 58 begins on the cusp of the 20th anniversary of the ISS. Canada’s 2016 federal budget 2016 provided $379 million for the country’s continued participation in the International Space Station. The ISS partnership has been ongoing since 1986, and Canada is now committed to the ISS through to 2024.